Gardening in winter might not be at the forefront of all gardeners’ minds but those who want to get a head start in spring or make some alterations to their garden layout will be well aware of the benefits winter gardening can bring. Dublin based Lavin Landscape & Ground Maintenance are an all year round gardening services provider and we’ve created the following list of winter gardening tasks which, if you want your garden to look its best the next year and to keep on top of maintenance, really should be tackled in the winter. First up is leaf clearing and although this may appear a purely cosmetic task, there’s more to leaves that you might think. Leaf mould is a fantastic mulching and soil conditioning material and is an excellent – and environmentally friendly alternative – to peat for use in potting mixes. Leaf mould can be used on the lawn too and this wonderful soil improver is free! 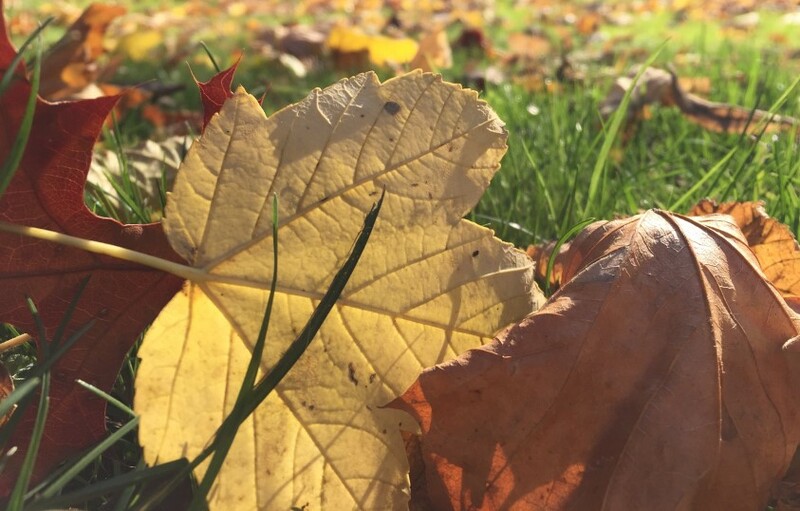 Leaving leaves lying around the garden also has disadvantages; pests find a winter shelter – the underside of a leaf makes a great slug egg-laying site – grass can be damaged by the lack of light afforded by a covering of leaves and they can prove a safety risk when they become wet and pulped. Contact Lavin Landscape & Ground Maintenance today for leaf clearing services. Although it won’t need the close mowing attention it gets during the rest of the year, lawncare and grass cutting is still a job which can be done occasionally in the winter. Grass will grow when the temperatures is 7 degrees C or above and keeping this growth in check during the winter means the first few cuts of the spring don’t result in yellow lawns, shocked grass and piles of clippings. Leaves should also be regularly removed from lawns to prevent yellowing of the grass. Every gardener likes the sound of free plants and with potted specimens sometimes proving costly, winter is the time to boost your stock by dividing perennial plants. Lavin Landscape & Ground Maintenance will undertake this late autumn/winter job, reducing the size of large clumps which show signs of taking over the border and the sections removed make perfect smaller plants for other areas of the garden. Plants that don’t react well to division as a means of propagation can be reproduced by taking root cuttings and again, this is a garden task we can help with. Winter is also the time for moving and planting trees and shrubs with November the ideal month. That’s because the soil is still relatively warm from the summer and autumn, it hasn’t been frosted and it’s unlikely to be waterlogged. Trees and shrubs can be planted or moved anytime between November and March as long as the soil is not frozen or waterlogged but early planting is something we at Lavin Landscape & Ground Maintenance advocate as it gives the plants a chance to establish fully and roots to bed in before growth starts in late winter and early spring. There is no point in spending time dividing perennials and planting new shrubs and trees in the garden if the soil isn’t good enough or needs a health boost – and there really is no better time of year to work on your soil than winter. Lavin Landscape & Ground Maintenance fully understand the importance of a good, healthy soil and if you want your garden to look its best in spring and summer, then winter soil improving is an absolute must. We will spread organic matter in its various forms over the bare soil in the early part of the winter – often a mucky, wet job – and allow earthworms and the weather (in the form of frosts and winter rain) to break down the material and draw the matter down into the soil. Whatever is left in late winter we will dig in and turn over to create a humus-rich soil which will hold nutrients and moisture but let excess water drain, giving your plants every chance of looking spectacular in spring and summer! Fruit tree pruning is another winter jobLavin Landscape & Ground Maintenance will undertake for you but although apples and pears are ready for pruning, stone fruit (including cherries, plums and damsons) should be left until late spring to reduce the threat of silverleaf disease. We can renovate older neglected trees and hopefully persuade them to bear fruit again and trees which have outgrown their space can be reduced in height and span to bring more light and air into the canopy and your garden. We’ll also take on light tree work, reduce the height of conifers and even remove unwanted hedges – all while the tree is dormant. If you’ve recently moved into a new property or just not had any time to devote to the garden, then the winter is the ideal time to set Lavin Landscape & Ground Maintenance to work on clearing the garden. From strimming and clearing overgrown lawned areas to creating new beds, edging and defining existing borders, cutting back overgrown shrubs and fruit trees, we can give you a garden ready to face spring. It’s amazing what plants and treasures you can uncover in an overgrown garden and we will sympathetically and carefully work through the jungle, saving and re-planting shrubs along with removing all the debris, composting and recycling it wherever possible. If you’ve been thinking of installing raised beds in your garden or creating a vegetable patch or plot then the winter is the ideal time to act. We can supply and install quality raised beds to suit every budget and carry out the backbreaking work of filling them too – helping to ensure your vegetable growing can start in earnest come spring. Perhaps you’ve been thinking of a garden arch covered with climbing plants or even a gazebo or pergola; whatever structural changes you want to make to your garden winter is the time and we will be on hand to help.